The kids are grown up and the house is an empty nest. Perhaps they’ve moved to another city where there’s more opportunity to get a better job than their hometown. 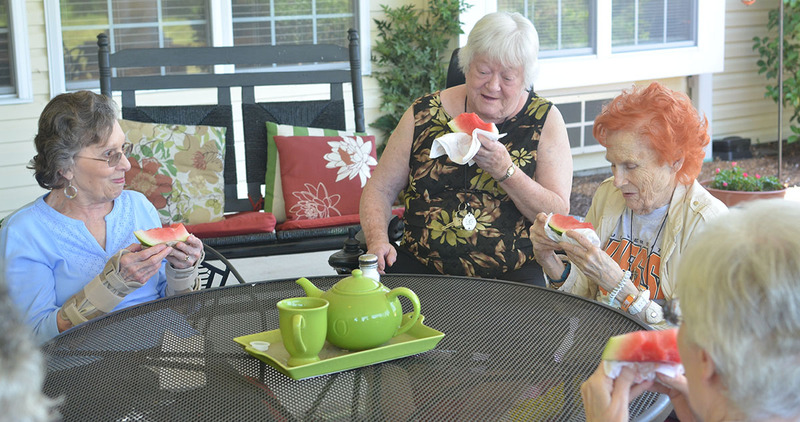 Either way, seniors may find themselves wanting to make a fresh start in a new place. With that in mind, we’d like to make the case for relocating to Jackson, Tennessee and joining our community at Regency Retirement Village, specifically. There’s no doubt about it: Deciding where to start the next chapter of one’s life is a big choice. Below are some of the considerations that typically go into making such a call (and how Jackson fits). Jackson is a great choice, particularly if the grandkids are based anywhere in West Tennessee. Our city is located about 70 miles east of Memphis, where a lot of professionals can set up residence. Even if the family isn’t living in the city, seniors want to know that visiting for the holidays won’t be a major burden on loved ones (or a huge hassle for themselves). Interstate 40 runs east to west from Nashville to Memphis and McKellar-Sipes Regional Airport (MKL) offers easy direct flights to Hartsfield–Jackson Atlanta International Airport. Colleges and universities based in Jackson include Jackson State Community College, Lane College, Tennessee College of Applied Technology at Jackson, Union University, and the University of Memphis at Lambuth, giving grandchildren options for staying close for their education. A major benefit of joining our community at Regency Retirement Village is giving those loved ones the peace of mind that the senior is living in a safe, secure environment where they do not have to worry about receiving care. The median income for a Jackson household is $38,169, which gives you a sense of how much it costs to live here. We offer a range of options to afford to live at Regency Retirement Village, including Life Care (converting a life insurance policy into an immediate Long Term Care Benefit Plan), veteran benefits, gift tax exemptions, ElderLife Financial Services, Elder Resource Benefits Consulting, and Companion Living. For more information about these programs, please contact a community consultant at 731.661.9888. Home of the Jackson Generals, a Class AA minor league baseball team in the Southern League. The International Rock-A-Billy Hall of Fame Museum. The Jackson Generals, a Class AA minor league baseball team in the Southern League, who play home games at The Ballpark at Jackson. The Miss Tennessee Pageant, the official state finals to the Miss America competition. The West Tennessee Healthcare Sportsplex, a travel baseball and softball complex completed in 2007. A new tennis complex in northern Jackson built to USTA regulations allowing official tournaments to be conducted. While we don’t expect that all seniors will compete in beauty pageants or sports tournaments, it’s enjoyable to be a spectator at such events. As for activities at Regency Retirement Village in Jackson TN, one need only look at the Activity Calendars for our Assisted Living and Memory Care residents to get a sense of the sort of planned outings we take as groups. Trips like visiting the Green Acres Pumpkin Patch ahead of Halloween parties, scenic drives to admire the fall colors, visiting the Teapot Museum in Trenton, lunch outings, and more. Visiting entertainers, combined with Bingo and group exercise, make it even easier by bringing the fun to residents’ doors. If you enjoy looking at snowfall but not getting trapped in it, Jackson offers relatively high temperatures compared to our neighbors up north but is typically cooler than other places farther south where a lot of seniors retire. The average high ranges from 50 degrees in January to 91 degrees in July and August. The average low dips to right around freezing at 31 degrees in January, with summer lows in the high 60s. We often cool off with treats like popsicles and watermelon. Regency offers residents support and assistance with the tasks of daily living, plus medication reminders and general monitoring of health and wellbeing. We can transport residents to and from their doctor appointments. Nearby medical facilities include West Tennessee Healthcare, CHS Regional Hospital of Jackson, and West Tennessee Healthcare North Hospital. 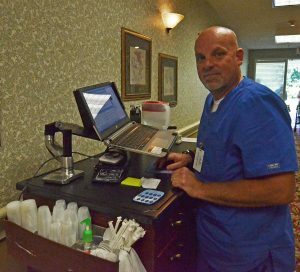 We hope that seniors researching where to put down new roots will apply this information when it’s time for decision-making, and seriously consider a move to Regency Retirement Village in Jackson, Tennessee. Call us at 731.661.9888 to schedule a tour to get to know us.